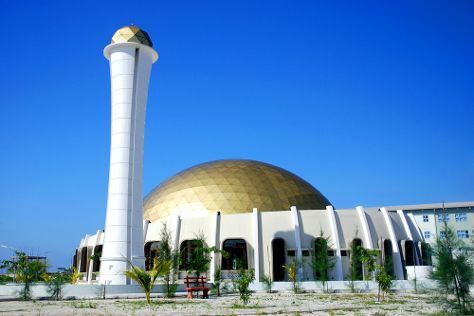 On the 6th (Tue), contemplate in the serene atmosphere at Hulhumale Mosque and then enjoy the sand and surf at Hulhumale Beach. To see other places to visit, traveler tips, ratings, and other tourist information, go to the Hulhumale trip planner . Cairo, Egypt to Hulhumale is an approximately 17.5-hour flight. Due to the time zone difference, you'll lose 3 hours traveling from Cairo to Hulhumale. Prepare for somewhat warmer weather when traveling from Cairo in November: high temperatures in Hulhumale hover around 36°C and lows are around 30°C. On the 6th (Tue), wrap the sightseeing up by early afternoon so you can ride a ferry to Male. Kick off your visit on the 6th (Tue): contemplate in the serene atmosphere at Grand Friday Mosque. For other places to visit, traveler tips, and other tourist information, you can read our Male trip itinerary maker website . Male is just a stone's throw from Hulhumale. In November in Male, expect temperatures between 36°C during the day and 30°C at night. Finish up your sightseeing early on the 7th (Wed) so you can travel to Maafushi Island. Kick off your visit on the 8th (Thu): identify plant and animal life at Wildlife Areas. To find where to stay, other places to visit, maps, and tourist information, you can read our Maafushi Island trip itinerary planner . Explore your travel options from Male to Maafushi Island with the Route module. In November, daily temperatures in Maafushi Island can reach 36°C, while at night they dip to 30°C. On the 8th (Thu), wrap the sightseeing up by early afternoon so you can travel back home.